Iraq - Cradle of Civilisation | Untamed Borders - Adventure travel..
A 9-day trip into the heartland of Iraq. Travelling the region bounded by the Euphretes and Tigris rivers, from the capital Baghdad to Basra on the Gulf coast. Tracing back through history, we will travel to the home of some of the first civilisations, visiting the ancient Sumerian sites of Uruk, ancient Bablyon and the riches held at the National Museum of Iraq in Baghdad. 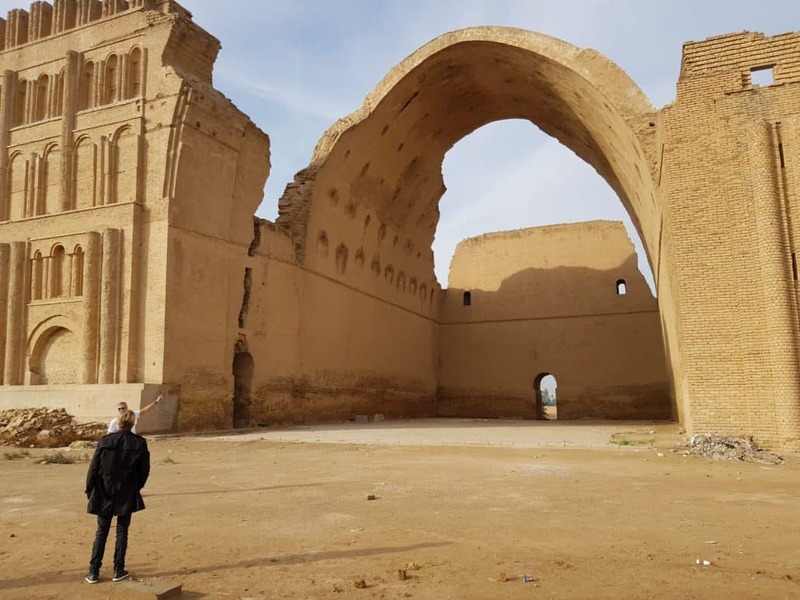 Starting in Baghdad we will see the legacy of Iraq’s place as the centre of Islamic architecture through visits to Samarra a UNESCO world heritage site with an iconic spiral minaret and the arch of Ctesiphone. We will explore modern Iraq by mingling with the pilgrims in Karbala and Najaf, the two holy places of Shia Islam as well as visiting some of Saddam Hussein’s old palaces. Finally, we will explore Iraq’s marshlands on a boat trip to the point where the two great rivers of antiquity join to create the Shat Al Arab waterway. A day experiencing life in the marshes of Iraq. We will take small boats through the marshes seeing water buffalo and lunching on Masgouf (Iraqi carp – the national dish). We will also visit Qurna and again take to water to see the point where the Tigris and Euphrates meet to form the Shatt al Arab waterway.